The Professional Musicians Local 47 and Employers Health & Welfare Fund (“the Fund”) provides you with this notice as required by the Women’s Health and Cancer Rights Act of 1988 (WHCRA). This entry was posted in All News, Features, Health & Welfare and tagged NMHPA, WHCRA on February 1, 2019 by admin. 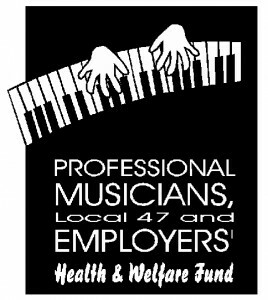 The Professional Musicians Local 47 and Employers Health and Welfare Fund (“the Fund”) purchases health insurance benefits through Health Net of California and provides you with this notice as required by the Women’s Health and Cancer Rights Act of 1988 (WHCRA). In compliance with WHCRA, Health Net provides benefits for mastectomy-related services, including all stages of reconstruction and surgery to achieve symmetry between the breasts, prostheses, and for complications resulting from a mastectomy, including lymph edemas. This entry was posted in All News, Health & Welfare and tagged H&W, Health & Welfare, newborn & mothers health protection act, NMHPA, WHCRA, women's health and cancer rights act on May 1, 2016 by admin.